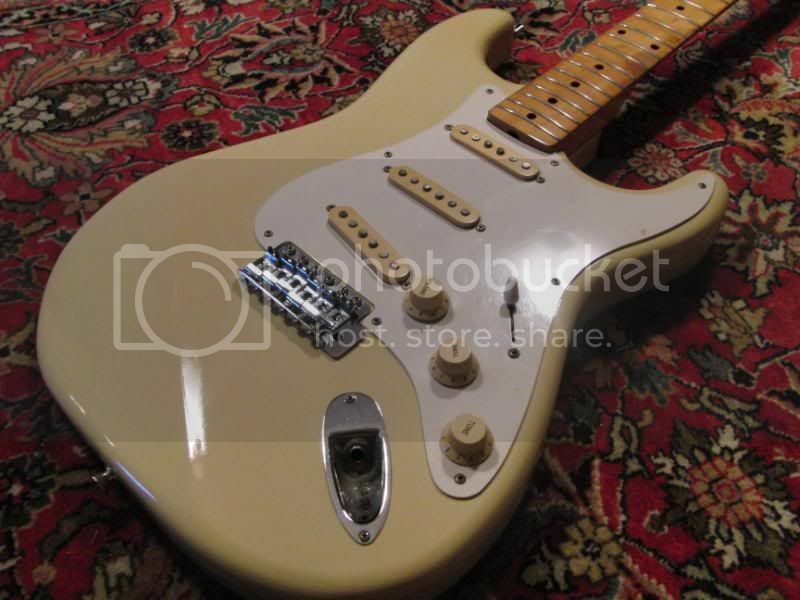 Tokai Forum - a subsidiary of TokaiRegistry.com :: View topic - Tokai STrat - who owns the most ? 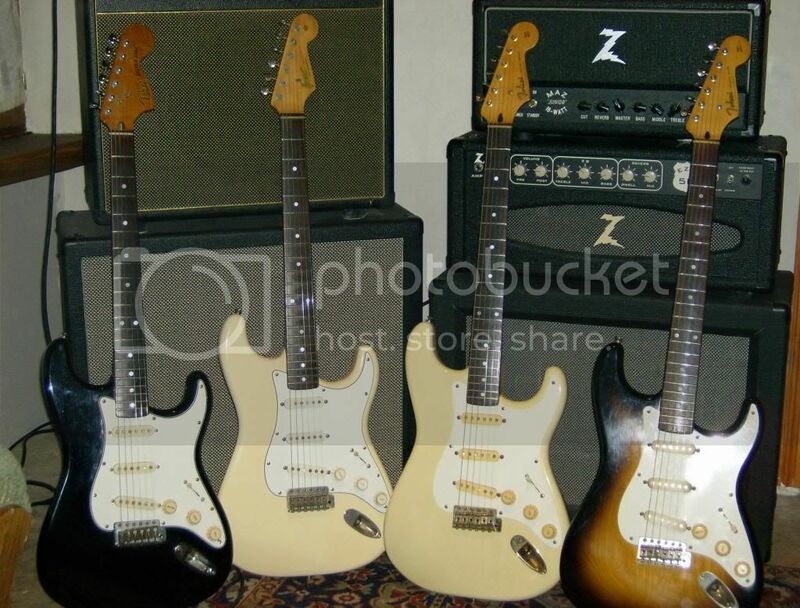 Tokai STrat - who owns the most ? 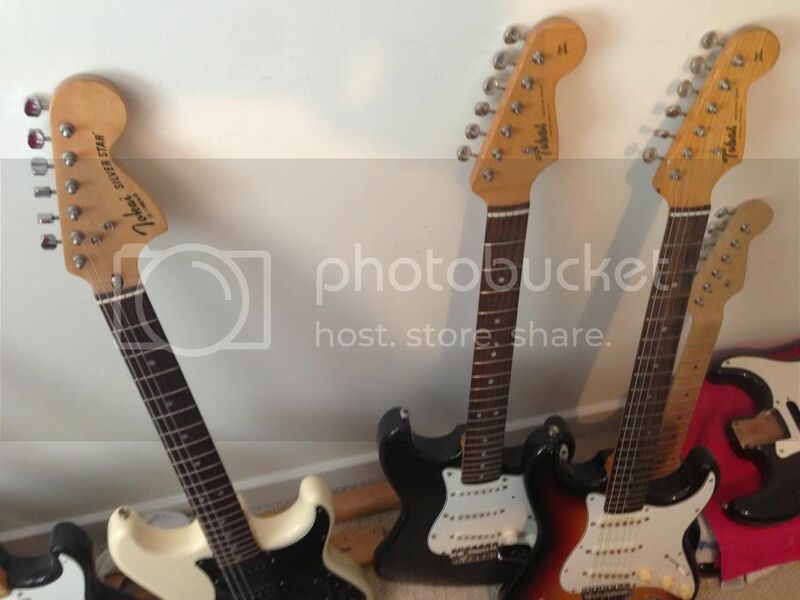 Posted: Thu Jul 18, 2013 5:05 pm Post subject: Tokai STrat - who owns the most ? 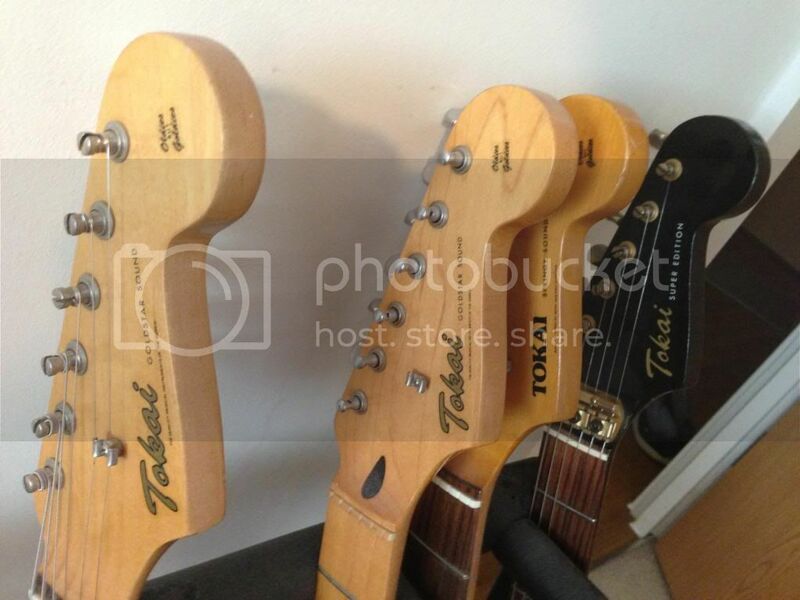 How many Tokai Strats do you own ???? Me, I have only 2 now ST-65 MB and ST-50 OWR both 1982.
and who has the biggest collection. So guys and gals, be honest and show your bragging rights. 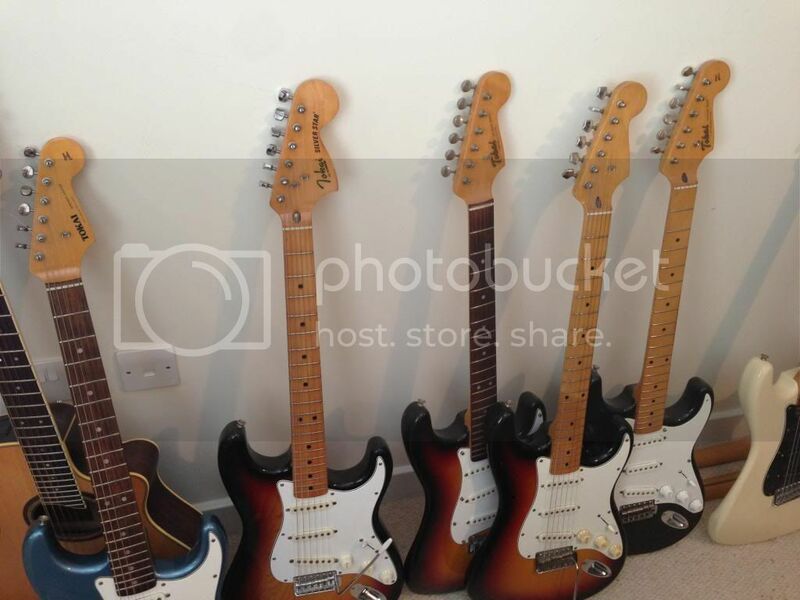 About 25 + about 3 guitars worth of parts! Now be honest - are the 25 all Tokais ? ....and why haven't you added photos???? unless you're like me and can't figure it out either. I've started cataloging and dismantling them/photographing, then posting them on here. Sadly, I haven't had the time the last couple of months, but I'll probably get round to some of them soon. 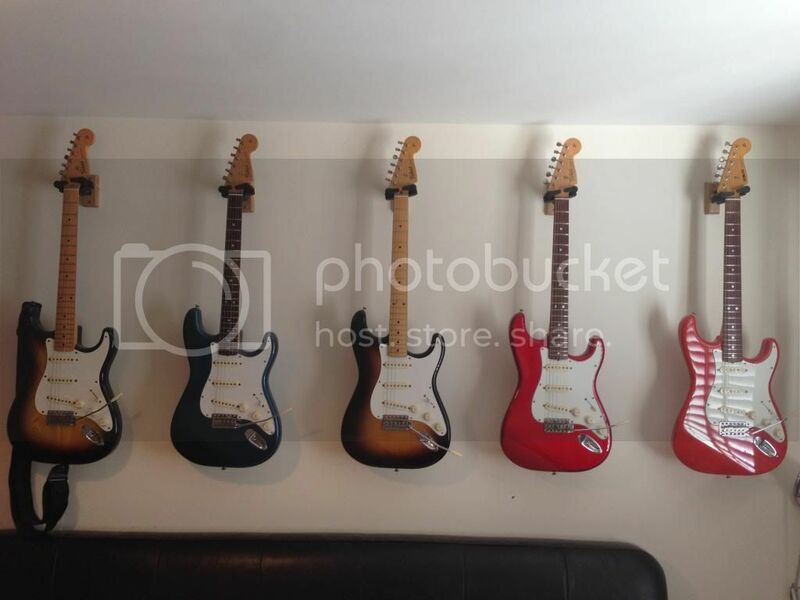 Then I need to get them all together in one place for a group shot. Some of them are in cases out of sight, most of them are scattered around the place, much to the annoyance of the missus. Its a direct link from the photobucket site - I don't see how the link itself can have a virus? That didn't work - I was trying to embed the images directly! After I opened the link, I got one of the "your computer is infected with a virus.... clean computer now" worms that will not let you close it and it tries plant itself on your computer. Then my antivirus sent up a warning. at least vouch for two of suki's tokais. OK guys, I worked out how to do it!